If you are fairly new to quilting, and want to learn some basic machine quilting techniques that can make your quilts look polished and sophisticated right out of the gate, here is a Quilting Arts Workshop for you! In her new workshop, Modern Machine Quilting: Straight Lines, Spirals, Serpentines, and More!, fiber artist and teacher Catherine Redford shares wonderful tips and techniques for using a walking foot on a regular domestic sewing machine to accomplish straight lines, organic curves, serpentines, and square and circular spirals. 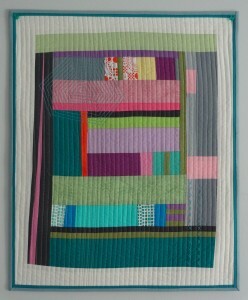 Despite the title, this is a great workshop for all quilters, not just those who work in the “modern” style. These quilting techniques would be wonderful on traditional quilts, contemporary quilts, and art quilts. And the things she teaches are not just for beginners, either; I learned a lot of things I’ll be incorporating in my work in the future. 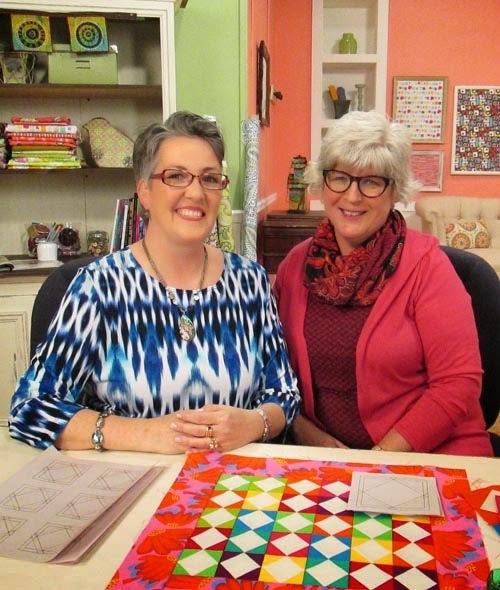 Catherine’s been a guest on several seasons of Quilting Arts TV, and here’s why: she’s a great teacher who is able to break things down into simple steps and explain them in ways that make perfect sense. I consider myself a fairly accomplished machine quilter, but I learned a lot from this workshop. 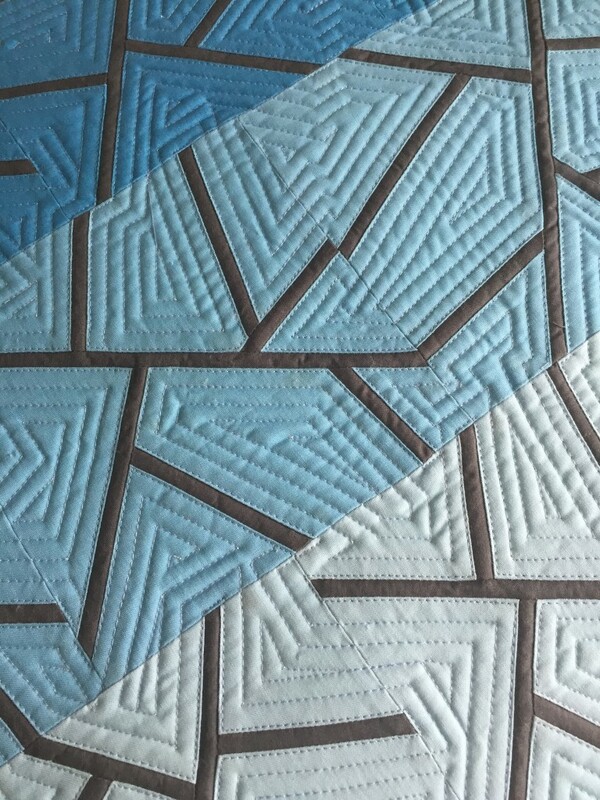 When I started machine quilting about 20 years ago, I stuck to what I thought was the easiest method: the basic stitch-in-the-ditch way, going around all the shapes in my traditional blocks. The results were not pretty. It took me a while to realize that stitch in the ditch is not easy! Catherine gives great tips for getting better results when you do stitch in the ditch, and then goes on to show you how to add nice graphic elements — such as grids that look like tartan/plaid — and how to adjust the width and length of some of the basic stitches built into most modern sewing machines (such as the gentle wave and zigzag) so that they look great as quilting lines. Beginning quilters will also appreciate her thorough coverage of how to choose battings, threads, needles, marking tools, and walking feet before she jumps into preparing the quilt top for quilting. Along the way, she offers many valuable tips that will save you time and heartache. The DVD is $24.99, and the high definition video download is $19.99; you can order them both at the Quilting Daily Shop. Catherine is giving away two copies of her new workshop on DVD! So head on over to her blog, and leave a comment there by Dec. 25 for a chance to win!